Should it be rather the Dutch politicians who need such a training before deciding to send a police training mission to Afghanistan? 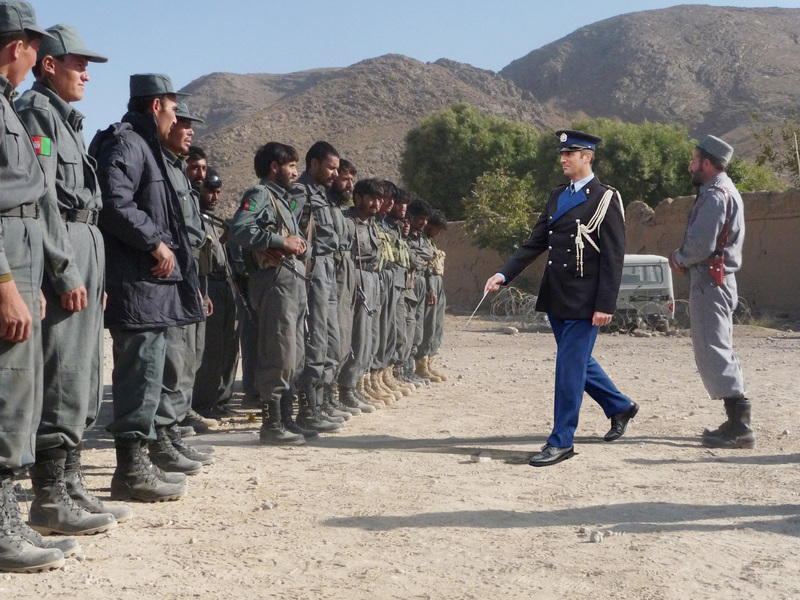 An impossible proposition almost for sure, because who would determine who would be the Afghan trainers for such a mission in the Netherlands, which fraction of Afghan society would such an instructor represent? Now we are ready to reverse this question and think about who has been selected in the Netherlands to train Afghan policemen. Or, can policing be made in something blank and objective non dependant on local standards and social complexities? I doubt it. Surprisingly the military mission which is presented to the Dutch public by the government as only a civil-police training mission, has been supported by two opposition parties, D66 (Democrats 1966, a mid course party ) and Groen Links (Green Left, a mishmash of christian, ecologists and former party communists). Dutch peace activists protested in February this year by protecting with their own invented ‘Kurduz Police Force’ the Green Left Congress from Taliban intruders. A photo documentation can be found here and there is also some apparently uncut video documentation at YouTube. A more formal description of the Dutch police mission to Kurduz in Afghanistan is at the Wereldomroep web site, the world wide broadcasting service of the Netherlands that because of its critical tone is now on the government lists of non-supportive media whose budget will be scrapped.